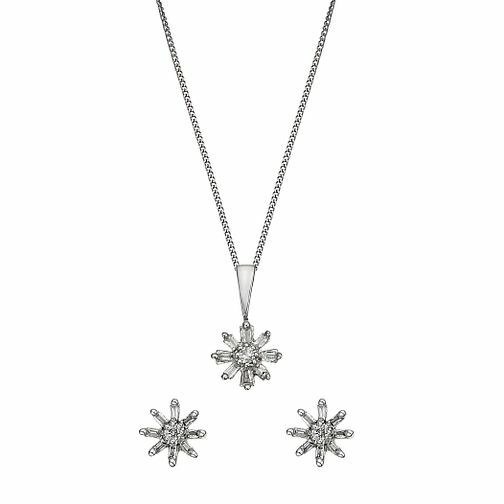 A feminine 9ct white gold pendant and earring set, showcasing a snowflake shaped burst of sparkling diamonds. Features a delicate chain necklace set with a snowflake, diamond set pendant and a sparkling pair of stud earrings. Elegant diamond jewellery for any occasion.